The Lakes Distillery, has announced that it is to auction off the first 99 bottles of its inaugural single malt whisky, with the very first bottle expected to break the record for the most expensive English whisky sold at auction. 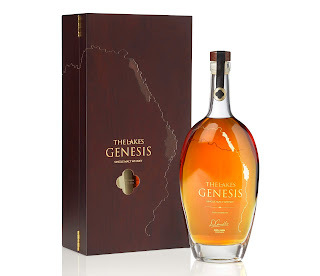 The Lakes ‘Genesis’, which will be bottled in early June, is a 3 Year Old cask strength single malt English whisky, which was initially matured in Oloroso hogsheads, before being finished in American and European oak casks. The Lakes ‘Genesis’, which takes its name from the Greek word meaning origin, pays homage to the Cumbria based distillery’s beginning and is said to give a tantalising glimpse into its future. Each bottle of The Lakes ‘Genesis’, will come packaged in a bespoke rosewood presentation box, each individually numbered and hand signed by Dhavall Gandhi, the Lakes Distillery Whiskymaker. Commenting on the news, Paul Currie, Founder and Chief Operating Officer of The Lakes Distillery, said: "We believe that our whisky making philosophy ensures obsessive attention is paid to the areas of the process which contribute towards flavour delivery, the key to great whisky. Our range of individually specified oak casks, combined with the skill and artistry of our whiskymaker, deliver a whisky which elegant, but full of complex sherry-led flavours." The first 99 bottles of The Lakes ‘Genesis’, will be available via auction on the whiskyauctioneer.com website, between Saturday 29th June and Tuesday 10th July.